Craig Calfee is an engineer based in California. He specializes in assembly of bicycles used in bicycle racing all over the world like “Tour de France” and is considered an expert in bicycles manufactured from Aluminum and Carbon fibers. Craig has a workshop manufacturing bicycles on Pacific coast in California. However Craig is possessed for last 22 years with a craze that is something totally different than his profession. His new interest is to manufacture bicycles from Bamboo, a botanical specie that grows everywhere in the world and is classified as grasses. 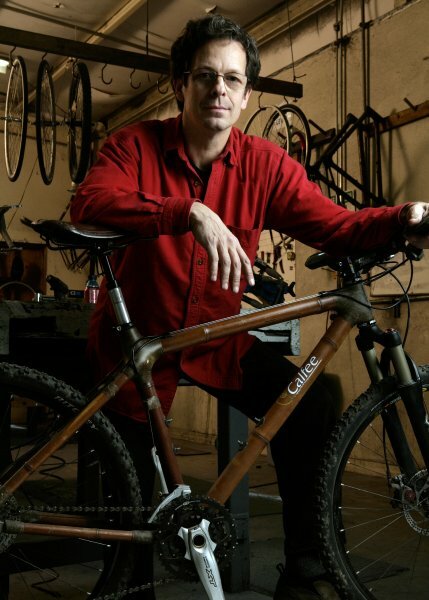 Craig's first bamboo frame bicycle was made about 22 years back. It worked alright except for some excess swaying. The main difficulty in using bamboo as a raw material is its natural tendency to crack in the middle, along its length. To overcome this problem, Craig started smoking and heating the bamboo pieces. This process of smoking and heating, usually called seasoning, is needed to be carried out slowly over a period of 3 to 4 months. To join such bamboo pieces to each other to make a cycle frame, Craig has developed a special process using fibers extracted from a plant known as “ Hibiscus cannabinus.” Craig uses this fiber, coated with Epoxy resin, to tie bamboo pieces to each other to make the frame. Craig had to make more that 100 experimental bamboo frames for bicycles, before he could hit on the right design. According to him, his bamboo bicycle frame is stronger than a carbon fiber frame and less likely to break with frontal shocks. It stands very well to the shocks imparted to it because of the potholes and rough patches on roads. EFBe bicycle testing laboratory from Germany has recently carried out tests on this bicycle and has certified its quality. in collaboration with Columbia University. Under this project, training is imparted to candidates from developing countries to manufacture bamboo bicycles. Once they are trained, they are in a position to start their own cottage industry to make these bicycles. 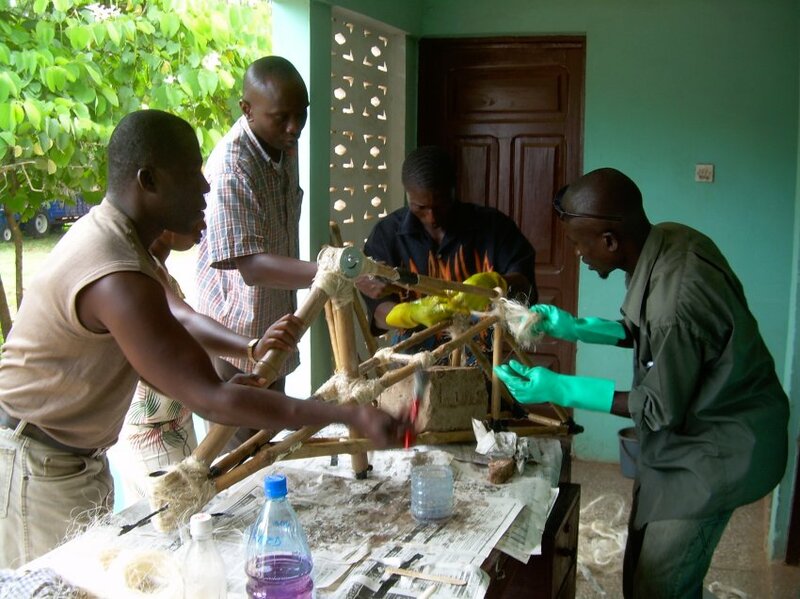 In 2010, “Bamboosera” trained three groups of people from African nation of “Ghana,” to make the bicycles. This project now plans to start these training programmes in Uganda, Liberia, Philippines and New Zealand. Craig is also trying to develop a pedal powered but more sturdier vehicle from bamboo that can carry one adult person along with 4 or 5 kids. Craig may not be the only person with a green bicycle bee in his bonnet. Three other guys; Brano Meres from Slovak republic, another California designer Nick Frey and Nicolas Meyer from Germany are actively involved in the manufacture of a green bicycle. 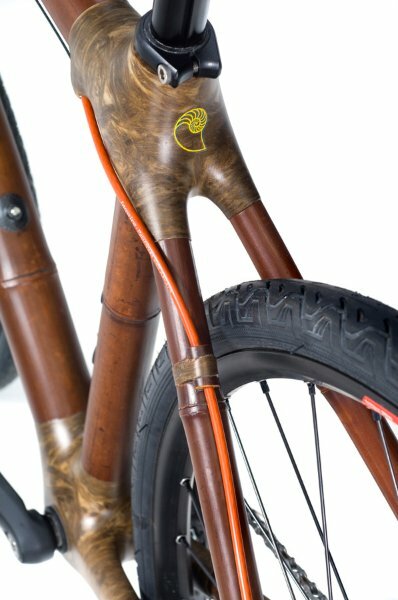 “Biomega,” is a company from Denmark, who make a very good looking bamboo bike. There is also an ongoing project at the Technical University of Berlin developing similar bicycles called Berlin Bamboo Bikes. 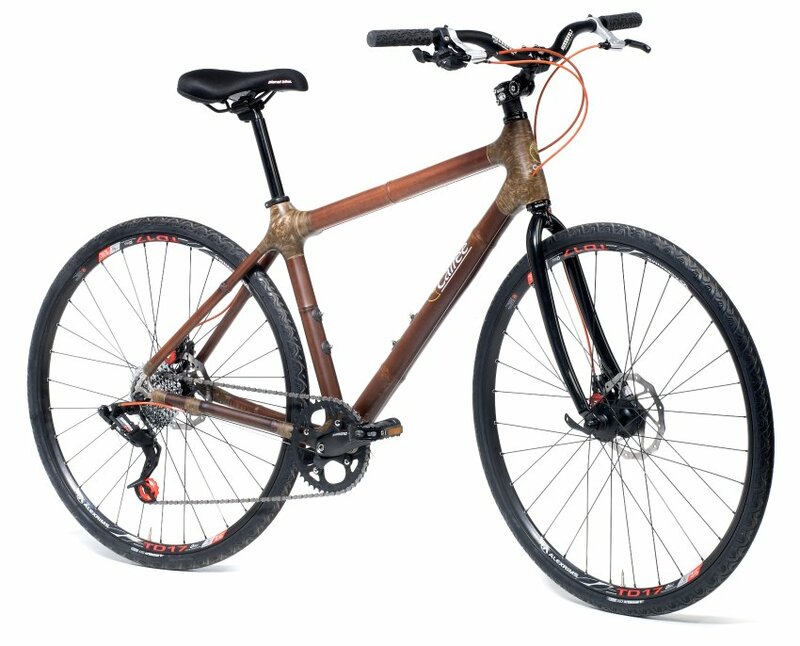 Nick Frey's company “Boo Bicycles” now in Colorado, also specializing in bamboo bikes. Perhaps Nicolas Meyer from Germany has the most advanced green design for a bicycle. 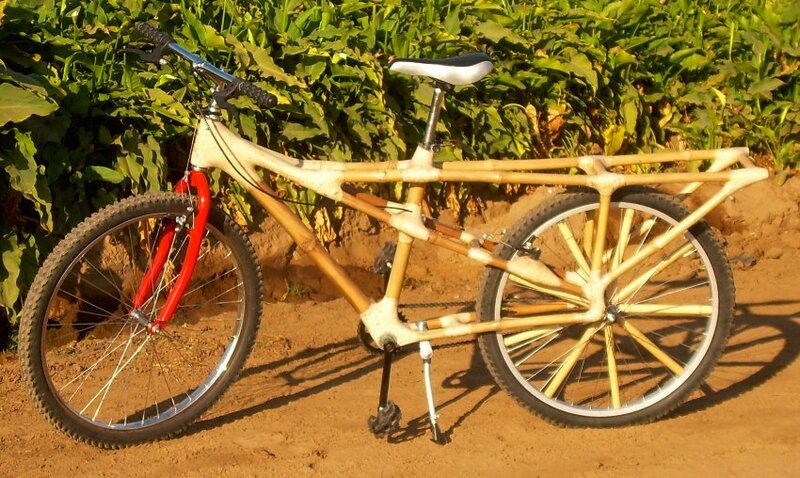 His bicycle is made mainly out of hemp and bamboo. His bicycle consists of 60% hemp, 15% bamboo and the rest is carbon and aluminum. He gets his hemp in bulk from a hemp store and his bamboo comes from a florist. To make the bicycle frame Meyer dips the hemp fibers into a thermal epoxy resin and then wraps them around a Styrofoam frame. The frame looks bit chunky because of this method of construction. The hemp ropes can take a lot of weight. But when there's pressure, they bend. To ensure that the saddle mounting, which is made up of two tubes, doesn't get bent out of shape, there is a three-centimeter wide band around the tubes. This method of construction makes the bike more rigid, but not any heavier. It still weighs around 1.4 kilograms, which is approximately the same as a good aluminum bike frame. Bicycle is considered as a personal transportation that creates least amount of pollution. Yet present day steel bicycles consume much power, when manufactured. If a bicycle is manufactured with least amount power and uses recycled or recyclable raw materials, it would become the most ideal vehicle for tomorrow. Who knows? These crazy bamboo bicycles might become the standard some day. At least these designers seem to think so.